As I write this in mid February, Haiti is experiencing dramatic demonstrations. Everyone in Haiti is frustrated by the lack of electricity, inflation (which drives up the cost of food, etc), a gasoline shortage (long story), and rampant government corruption. We have been forced to cancel several trips to Haiti because of demonstrations. However, the Haitian people deserve better leadership, so the demonstrations are understandable. Our five schools have continued to do well. We are developing a tradition of keeping our schools open while other schools close due to demonstrations. In our high school, we have started a new computer lab. We are getting ready to launch several adult literacy programs, in partnership with Alfalit. These programs allow people to learn to read, and experience dramatic increases in self worth. We sponsored a small surgical trip in November that performed cervical cancer surgery for several patients. However, we were forced to cancel surgical trips in October 2018 and February 2019. This is very disappointing, as these trips represent the only opportunity that our patients get for life changing surgery. In November, our work with patients in Haiti was mentioned in an article in the Miami Herald. In December we distributed 1600 backpacks to our students, and Christmas gifts to our 100 staff members. This year the backpacks included a soccer ball, which sent positive shockwaves through the community. Very few kids in St Michel have ever played with a new soccer ball, much less have the opportunity to own one! On the December trip we also conducted a medical clinic, seeing over 300 patients. We continue to followup on their care with our Chief Nurse Michel. We are starting several businesses in an effort to generate jobs: we are opening a Propane Gas retail location to provide the community with an alternative to charcoal, which is depleting the trees on the island. We are opening a small gym for people to workout in, for a small monthly fee. We are also building a water well repair team - we have a backhoe in Haiti that the team can use to repair wells. The propane gas business and the gym are private efforts, so that Living Hope doesn't get stuck with any losses. As always - thank you for your prayers, and your support! 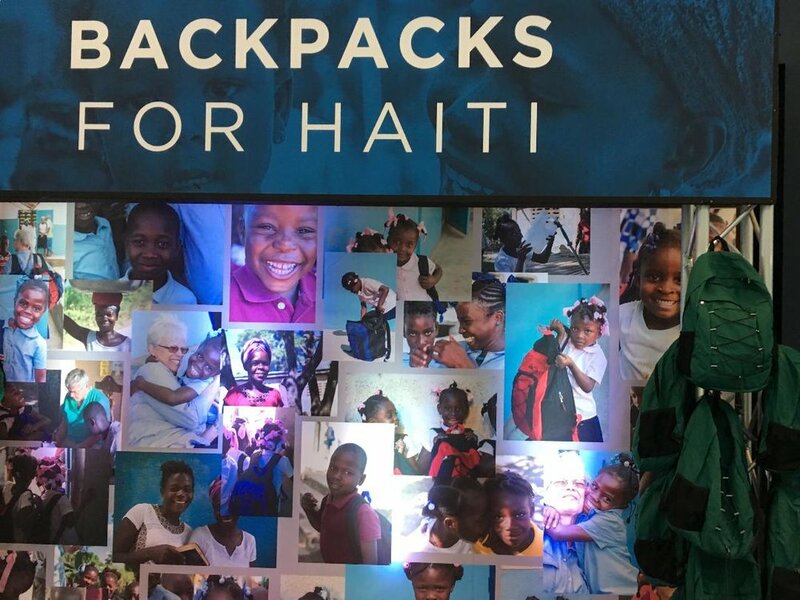 We are blessed to be able to work in Haiti, and your support makes it all possible.